Today’s land forces are increasing their focus on enhancing the skills that integrate intelligence, firepower and manoeuvre in highly complex operations across a complex battlespace. At the same time, land forces are required to train across the spectrum of operations, from warfighting to peacekeeping and humanitarian assistance. Immersive, repeatable, cost-effective training is becoming critical to acquiring the necessary skills to act instinctively and intuitively in a high functioning collaborative environment. CAE’s comprehensive training and simulation product portfolio covers land training applications based on the philosophy of providing highly realistic, cost-effective training solutions tailored to our customer's specific requirements through close collaboration with the end user. 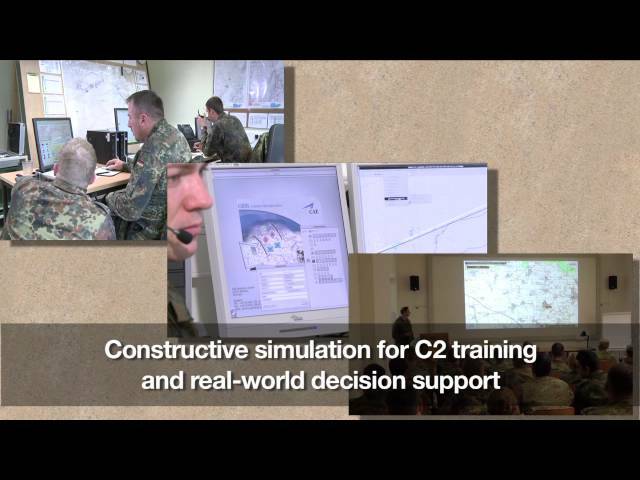 CAE offers a wide range of land system simulators to train commanders and their staff, forward observers; air defence; and armoured vehicle drivers and gunners.